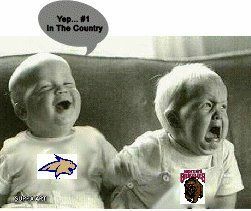 This weekend is a big one in Montana for college football fans. It is the 111th Cat-Griz Brawl of the Wild. 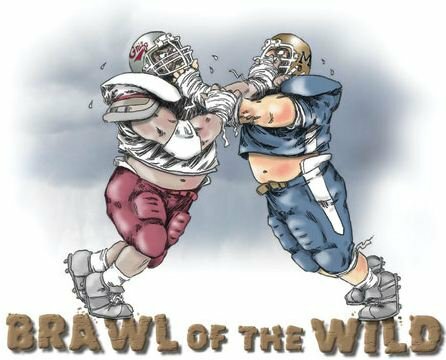 One of college footballs oldest and biggest rivalries. Everyone in Montana has a side. Should be a good game! My husband and I are both Cats fans. Our lounge at work is plastered with these and more. Finally may i just say, what is a girl to do. I LOVE lululemon's running skirts so bad. Yesterday this one showed up on the website. Do I do it or not? My birthday is coming up next weekend, great little present for myself. I can't decide which I would get, but I do know I better figure it out, as they will be GONE soon. Skirts never last long on the website. It is the run:your heart out skirt. I love it. What is your favorite team sports rivalry? Did you enter my FitDeck giveaway? I would say go for it!!! They are so cute!!! I love the comics too! I love the name "Brawl of the Wild". I visited U of M this summer in Missoula - beautiful campus, but I don't know anything about either team - hope you enjoy the game! Go Bobcats! Cute skirt as well. 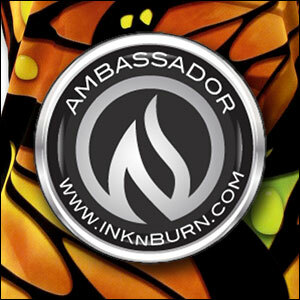 Go for it, you deserve it! That skirt is too cute! Birthday present for sure! Have fun watching the game and since I have no prior allegiance I will say, GO Cats! Definitely get the skirt, SO freakin cute!!!! Get the red! Happy Birthday. Yep, get yourself a present! 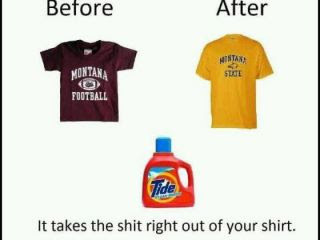 My son graduated from UM in 2009, so we used to be Griz fans. 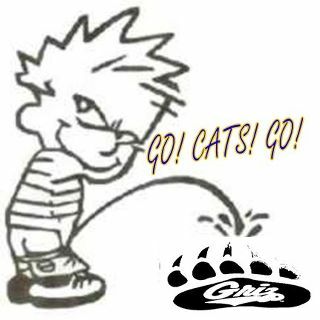 I'm very familiar with the Griz-Cats rivalry. Happy birthday to you- get it! My rule is that if I keep thinking about it long after I've walked away-it's a must get!! The skirt IS cute. You pretty much have to get it. Oh go with the skirt with the red. I love it!! And yes people get all sorts of crazy whenever BYU plays Utah in anything. Go CATS! My husband and I went to MSU, and my in-laws are die hard Griz fans. It makes the cat-griz game pretty entertaining. Not that we'll get to watch it on tv in Oregon. Now we live in Ducks country. that skirt is super cute - I say you should definitely get yourself a little bday present! I'm don't watch much college football except for the Ducks (quack attack!) these days, but I love a good rivalry! Grizzz forever! I went to UM. I hated the Griz when I was there, but I can't go against them now that I'm not. You know how much I love college football! Have fun at the game! This weekend is also Stanford vs CAL (known at Big Game), it looks like it's the 114th game for those 2 teams - I think it's among the top 10 longest rivalries in college football. The Oregon Ducks and Beavers are quite a fun rival around here. 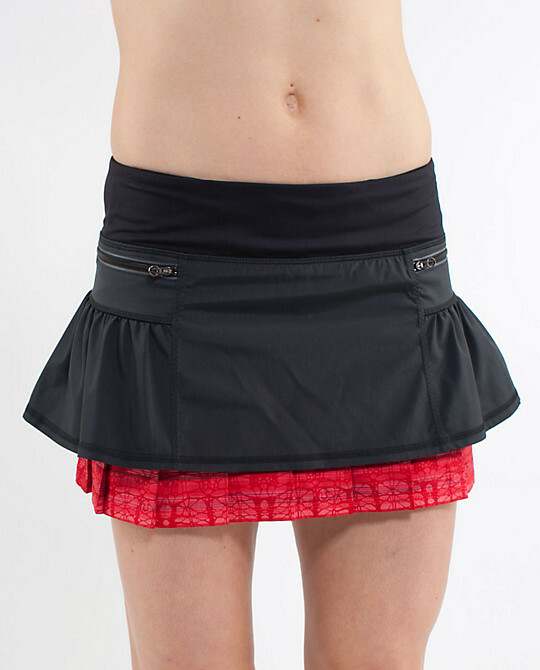 :) If I were a running skirt gal I might go for the red and black one. that skirt is too cute! treat yourself! Treat yourself! Love that skirt. I can't decide if I like the peeking red one or the black one. Both are very cute! I say go with the red trim if you can only get one. You will regret it if not. But if you really want to treat yourself, go for both!! I ran naked and it felt great! Looking for advice on a street mile race!